Discover the magic of minerals! Colorescience is the premier luxury mineral makeup line that is uniquely formulated to work with all skin types. Colorescience evens the skin’s tone and enhances the complexion with lightweight mineral pigment, it also protects against environmental damage. The basis of Colorescience begins with a system of core products that address face texture, moisture, skin conditions, and coverage. The perfect finish requires a perfect start. 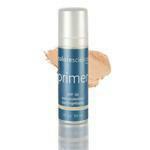 Primers improve skin texture, enhance tone, and diminish fine lines and wrinkles, the result is a smooth, even canvas that looks as flawless as it feels. Sun protection is the fundamental step in keep skin healthy and beautiful. Sunforgettable is easy to apply and reapply throughout the day. Colorescience Foundations are uniquely formulated to provide customized coverage and color every time. They come in lightweight Crème and Powder Foundations, which you can fuse together or use alone. 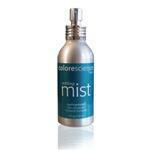 Setting Mist keeps makeup and sun protection in place while adding vibrancy and hydration to your skin.